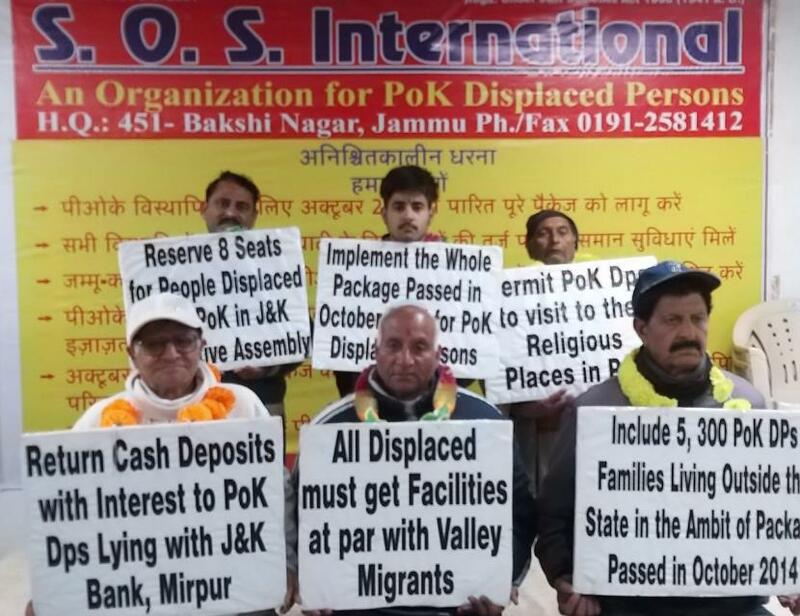 JAMMU: 27-day long chain dharna by the PoK Displaced Persons, under the banner of SOS International, led by its chairman Rajiv Chuni, concluded with a pledge to continue the struggle till logical conclusion. The dharna was led by Parmodh Ghai, who was joined by VK Datta, Ved Raj Bali, Pardeep Sabharwal, Karan Sharma and Amar Nath. During the 27-day long first phase of the agitation, Displaced Persons from different blocks, tehsils and districts took part in the chain dharna in groups of six-persons, thus giving a clear message to the Government that PoK DPs were one under the banner of SOS International. PoK DPs are demanding implementation of the whole package passed by State Cabinet in October 2014 for them, facilities to all DPs at par with Valley migrants, reservation of eight Assembly seats for the people displaced from PoK, permission for PoK DPs to visit their religious places in Pak occupied Jammu Kashmir, inclusion of 5,300 PoK DP families living outside the State in the ambit of package passed in October 2014 and return of cash deposits with interest to PoK DPs lying with J&K Bank Mirpur. 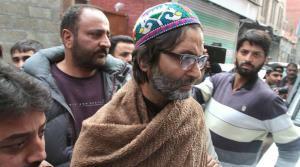 While addressing the media persons on concluding day of the chain dharna, Parmodh Ghai drew attention towards the grievances of the PoK DPs and said that insensitive attitude of the Government towards their demands has not discouraged the community but re-affirmed them to double the intensity of struggle. 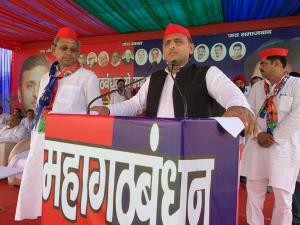 "We will leave no stone unturned to get our demands conceded and further delay by this in responding to our voice will only create more problems for this Government," he warned and appealed the people to teach the ruling party a lesson in the forthcoming elections. Parmodh Ghai also appealed the PoK DPs to come forward from all corners of the State and join hands with the SOS International for further intensifying the struggle for their rights, which is entering into second phase from next week with the holding of demonstrations at district level.